The first version of Protractor was released in July, 2013. Google continues to support the work. Overall, Protractor requires less coding than Selenium and provides additional functions to make querying of elements easier. Install package manager for your operating system so that in the future it recognizes the need for updates and does it with one command. On Windows, install Chocolatey from chocolatey.org. See this StackOverflow thread. Open a Terminal session on Mac or cmd session on Windows. On Windows, go to Computer Properties to add a System Variable NODE_HOME to point to the same path above. -g installs globally for accessibility from all folders rather than just the node_module folder of the current folder. –save-dev adds an entry within the ““devDependencies” section of package.json instead of “dependencies”. This is because the test suite is not needed to run the app in production state. 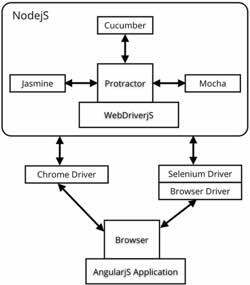 NOTE: There is no need to install Selenium and WebDrivers as it comes within the Protractor install. BTW, the same command is used to update to the latest version of Protractor. The above only needs to be done once, and occassionally to update. To update WebDriver “plug-in” for each internet browser needed to take over the keyboard and mouse. NOTE: There is a WebDriver that is “headless” and does not involve iteraction on a browser UI: PhantomJS uses GhostDriver to run tests in Headless mode. -y enables you to skip confirmation prompts. You’ll need to input your password. WARNING: You must specify version 8 because the default version 11 onward have a different licensing by Oracle. 1, Exit your command instance and enter it again so installations take. Nate Taylor’s sample test assets at https://github.com/taylonr/intro-to-protractor runs against the sample app at https://meanjs.herokuapp.com as described in his “Protractor Introduction” video class released March 10 2015. The sample app repo includes the MEAN.JS stack which consists of MongoDB, Node.js, Express API framework, and AngularJS. But the site is no longer active and there are errors when building the app. Another one is “http://www.thetestroom.com/”. But the full URL specified in the script associated with it is no longer available. So let’s not use them. Alternately, in a browser view the sample app running. Click on the left box and enter 2. Ignore the operator as “+”. Click on right box and enter 2. Click on “Go!” to perform the calculation. Verify the negative test case of 5, which makes the test fail. Change the test result to 4. Run again to verify that the result is 4, which makes the test pass. Notice the repo has NOT been updated since 2015. So it will likely encounter deprecation and security errors if built locally. There are also Pull Requests and Issues pending for a long time. Fork the repository online in GitHub so that you can make changes. Because git clone does not establish a folder for the account (just the repo), I manually create then cd into a folder for each GitHub account before I clone the repo. Several repos can have the same repo name. Alternately, if you didn’t fork the repo, create folder for account “juliemr”, the account holding our sample repo. remote: Enumerating objects: 150, done. Receiving objects: 100% (150/150), 112.96 KiB | 3.32 MiB/s, done. File package.json specifies dependencies that Node will download before beginning runs. PROTIP: The “app” folder contains the app’s code. The “tests” folder contains tests associated with the app’s source code in the same repository. This is getting more common than separate teams which maintain separate repositories for app and test code. File server.js is the file specified to Node.js to begin processing. PROTIP: Create a test-suites folder to hold …spec.ts (TypeScript) files. PROTIP: Have a page-objects folder to define a folder for each page (login, etc.). Older libraries may encounter deprecated dependencies. Then add code completions and other helpers. Scroll down to select “AngularJs Eclipse 1.2.0” to click “Install”. To verify, pull down Preferences to see “AngularJs” on the left pane. Right-click on your project to select Configure, “Convert to Tern Project…”. Under Tern, Modules, select “Protractor”. Apply and Close. 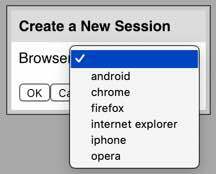 When you type “browser.” and press contrl+space to see autocomplete suggestions. To run Jasmine tests through WebStorm, follow WebStorm’s simple 13-step process to get it running. But note Jasmine isn’t a “first class citizen”. Jasmine can run only through the karma test driver. Follow more steps to be able to use WebStorm’s debugger. PROTIP: Remember the semi-colon to end each sentence. NOTE: The seleniumAddress URL shown here does not display on a browser because it is an “end point” that listens for API requests. But it does have a UI to display its sessions. seleniumServerJar - to start a standalone Selenium Server locally. seleniumAddress - to connect to a Selenium Server which is already running. sauceUser/sauceKey - to use remote Selenium Servers via Sauce Labs. browserstackUser/browserstackKey - to use remote Selenium Servers via BrowserStack. directConnect - to connect directly to the browser Drivers for Firefox and Chrome browsers. PROTIP: In the file name specify where the run occurs and what browser. For example: “local.chrome.conf.js” for chrome run locally. Or “sauce.firefox.conf.js” for running Firefox on the remote “SauceLabs cloud. The square “[ ]” brackets for specs:</tt> (notice the plural) means that a list of several spec.js files can be specified, separated by commas. This runs on your Terminal session, so on Macs, press control+C to stop the session. Use your cursor to open another Terminal/Command session. Now you can continue on the same Terminal session while webdriver runs in the background. On Windows, click the URL link above to open in your default browser. The above is the angular.io marketing page . (formerly AngularJs.org). // (double forward slashes) in front of a line comments it out from being read. describe describes a test suite group (category) of tests. it specifies a spec (specification) or test case. browser.get specifies the URL handled by the browser. PROTIP: We recommend an incremental approach. First, run for just the URL appearing. Then add more test steps. Once you obtain a successful test, commit the changes to the team repo (off your laptop). This would make it easier to debug. So first let’s run the file as-is without changes. Eclipse needs to know the path to a “Main” file. That’s the cli.js file. So copy the whole protractor folder from under node_modules into the root of your test assets repository project’s folder. Scroll to “Node.js Application” and click on it. Click the “New Launch Configuration” icon at the top left of the dialog. Click “Browse” and navigate to select your Protractor test asset repository as the Project. Click “Main File” and navigate to where Protractor is installed, then the “cli.js” file. 1 tests, 1 assertion, 0 failures. “tests” are where tests are located. The recursive flag finds all files in subdirectories. The watch flag reruns tests automatically when a change is detected in source or test files. Jasmine users can use Karma, also written by the Angular team, at http://karma-runner.github.io. This article reports the various ways to run various test runners. While mocha-parallel-tests are fast. But even though Jest (the testing platform developed by Facebook) and AVA are slower, their additional features may be worth the cost. Those features include snapshot testing and test coverage. During test runs, browser windows are opened and closed by Protractor. Use Chrome Developer Tools to see HTML id and names. Alternately, read from a CSV file. Add wait helper function to pause until an event is detected. Capture the amount of time taken to do each step or series of steps. To take a screen shot on error, use the takeScreenshot helper function. Test different users (persona) to ensure those with different permissions can still do their job. You need a sample app to test against, and sample scripts that test that site. Account details should be configurable in params. The tests above are called “e2e” or end-to-end from login. Protractor adds a convenient “waitfor” functions and accessors (locators) by button text, partial button text. Protractor enables “find” by a combination of CSS and text (get me all the divs with class ‘pet’ and text ‘dog’). Protractor adds the “addLocator” function to add custom locators. For example, get elements by handlebars properties. CucumberJS supports async programming concepts in scripts with TypeScript. The Mocha library (https://mochajs.org) appeared in 2011 with a different approach than Jasmine. While Jasmine describes itself as having “batteries included,” meaning that it attempts to provide everything a developer needs in a test framework, Mocha instead aims to cover the basics and allow other developers to extend it with other frameworks, such as Chai and Sinon, which provides more sophisticated capabilities than Jasmine alone. Mocha does not have a built in assertion library. So alternatives are Chai, should.js, expect.js, and better-assert. The expect style is similar to what Jasmine provides – a style from Behavior-Driven Development. “Should” uses a similar chained format, and is different only in style. Developers tend to choose the style with which they are most familiar. A “test double” library is used to replace one object with another for testing purposes, like actors being replaced with stunt doubles for dangerous action scenes during moviemaking. Or like a clone of an object. In Jasmine, test doubles come in the form of “spies”. Each spy function replaces a function whose behavior you want to manipulate in a test while recording the results. Tell a spy to call the original function (the function it is spying on). By default, a spy will not call the original function. 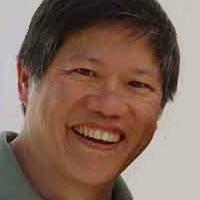 Mocha does not come with a “test double” library. So Sinon is added. Sinon breaks up test doubles into three different categories, each with subtle differences: spies, stubs, and mocks. One feature that Sinon has that Jasmine does not is a fake server. Fakes are used to simulate external behaviors without actually making any external calls. It’s needed because unit tests should not make calls outside their scope to networks or databases. So test “fakes” are used to isolate a test from external dependencies. More precisely, a fake server provides fake responses to AJAX requests made to specified URLs. In summary, SinonJS is a more complete framework test double framework than Jasmine, including not only spies but also stubs and fakes. To learn Angular, consider Thinkster Popular Guide, and Egghead Videos. Protractor (automated functional testing) was published on February 09, 2019 .